This is the true story of a bizarre and surprisingly comedic caper that took place more than a decade after the death of one of American’s most beloved Presidents. Dr. Burke, a professor at Queens College in Charlotte, has given this entertaining presentation previously at the Abraham Lincoln Presidential Library and Museum, the Charlotte Museum of History, Gaston County Museum of Art & History, Belmont Abbey College, and King’s Mountain Historical Museum, among several other locations. 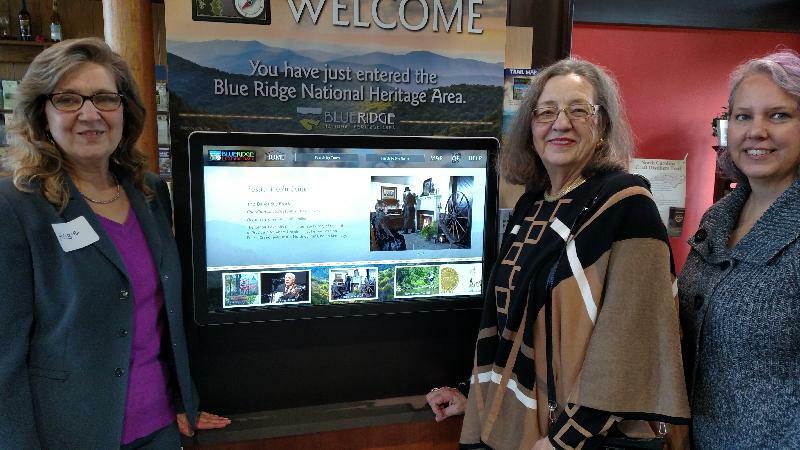 The Blue Ridge National Heritage Area held a dedication for the Trails Program at the NC Welcome Center on I-85 recently. The Bostic Lincoln Center is one of the 70 sites and representing the center was Lydia Clontz, museum director. WRAL's "Tarheel Traveler" story on Abraham Lincoln, Nancy Hanks, and the Bostic Lincoln Center may be viewed online here. Playwright Ludy Wilkie has donated over twenty years of research material on legends that Abraham Lincoln was born in North Carolina. See more details on our News page. The December 1, 2012, open house at the Bostic Lincoln Center was the topic of an article in the Daily Courier. WLOS TV News (Asheville) interviewed the director of the Bostic Lincoln Center in a news story on Nov 8, 2012, related to the new Abraham Lincoln movie. North Carolina Weekend on PBS station UNC-TV did an informative story on the Bostic Lincoln Center's efforts to spread the word about Abraham Lincoln's Carolina roots. Click this link then scroll down to the November 18th program and click on "Play Video" under Bostic Lincoln Center. 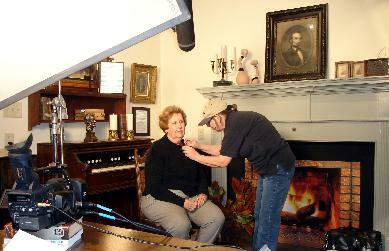 Honest Abe, an exciting new project has been completed by documentary producer/ director Mary Lopez. As part of her UNC Greensboro MFA Practicum through the Department of Media Studies, Mary Lopez has completed a ten-minute documentary regarding the birth of Abraham Lincoln in Western North Carolina. Having heard the story years before, the subject was one of great interest to Mary. 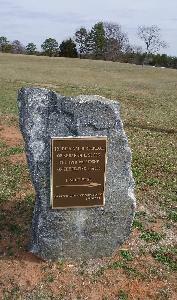 She chose the Abraham Enloe connection for her documentary and spent months researching the story prior to film production. Working with her team, Thomas Clayton (cinematographer) and Joshua Strayhorn (Narrator) Mary has created an outstanding production. The BLC was honored to work with Mary on this film. The documentary premiered at UNC Greensboro in May. It is now available for viewing at the BLC. 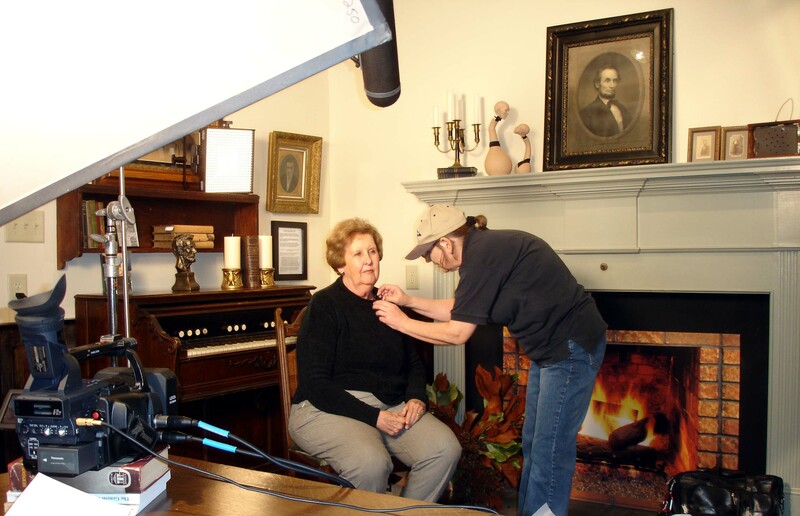 Treasurer Alice Bradley (seated), receives staging direction from Mary Lopez (standing) during filming of the documentary “Honest Abe” in March, 2010. 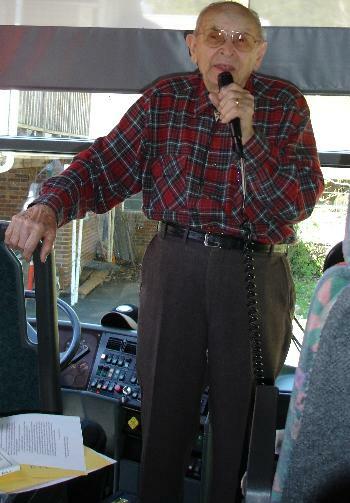 Tours to Lincoln Hill can be arranged in advance by contacting the Bostic Lincoln Center. See the Contacts tab for details. Members of the Bostic Lincoln Center Board of Directors present a Plaque of Appreciation to the Town Council of Bostic for their generous support of the center on the museum’s first anniversary. From left: BLC Board Members, Blaine Logan, Roberta Harris, Bill Blair, BLC Treasurer Alice Bradley, BLC Board Member Catherine Washburn, Council Member David Wright, BLC Vice President Lydia Clontz, Town Council and BLC Board Member Mike Hollifield, Bostic Mayor Mitch Harrill, Town Council Member Keith Dobbins, BLC President Keith Price, Town Council Members Billy Lattimore and David Penson. With the generous support of the Town of Bostic, the BLC continues to collect, research, catalog and maintain exhibits in its museum. Over 1200 visitors have enjoyed the museum during our first year. New books and note cards are available! Stop by and visit today! BLC featured in 50 FORWARD Loving the way we live Magazine. See the Spring/Summer 2010 premier issue of this new magazine for the latest article featuring the Bostic Lincoln Center, Inc. The article is titled “Abraham Lincoln: North Carolina’s Native Son?” and explores the roots of Lincoln in Western North Carolina, right here in Rutherford County. This new publication is designed with one purpose: “To help our readers—those of us 50 years old or better—successfully navigate the pleasures, adventures, issues and challenges that are our lives…” Contact joanie@fisherpublications.com for more information about the magazine. 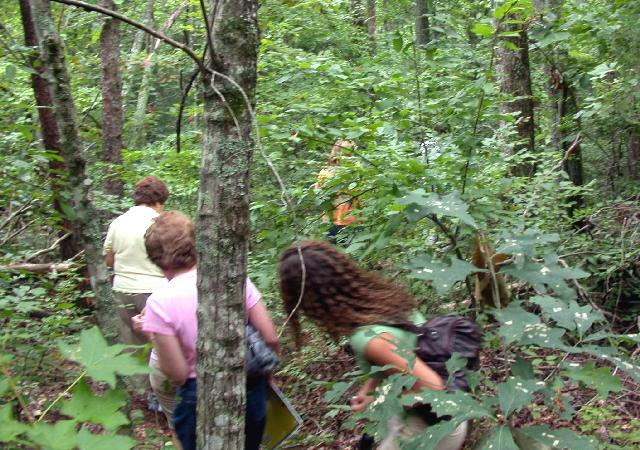 Interested in arranging a tour of historic Bostic sites, including the traditional Lincoln birthplace? Contact us. The Bostic Lincoln Center, Inc. is a 501 (c) 3 non-profit organization.